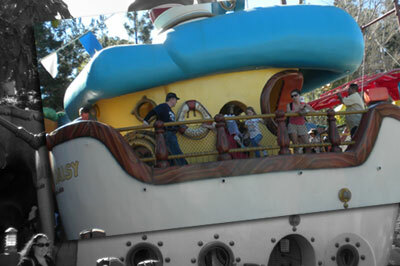 Matt Ouimet's Boat used to be stocked with Matt Ouimet's play equipment, but Disney security made her smash them to pieces so nobody would run around on it naked and initiate legal action. Guests stuck with crafty tauntauns should be forwarned that this dark ride exits into a souvenier shop. Hearing-impaired guests may ask a cast member for an assistive listening device.